I imagine your starting to think all Tiny Tulip does is seersucker items. But don’t be fooled they offers so much more. 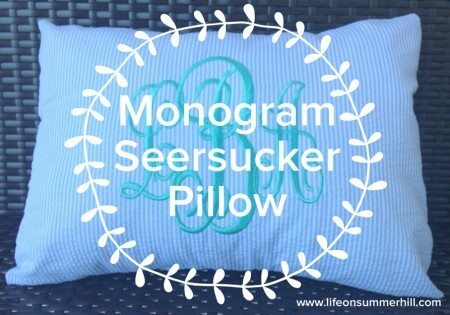 But for this monogram Monday I had to share this adorable baby blue monogram seersucker pillow. When I saw it come through the line I had to stop and take pictures to share with you. This makes an adorable baby gift for a little boy or girl’s room. Or a great best friend present. 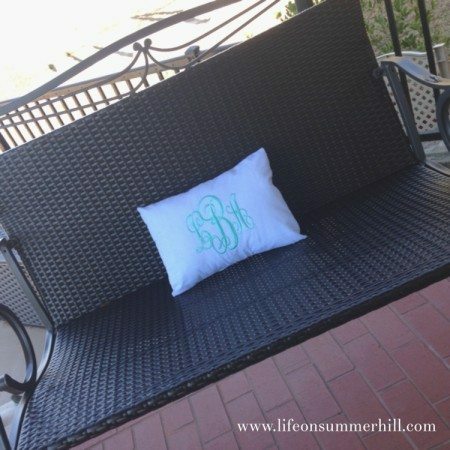 It would even be a great sorority gift–monogram big sis or little sis and your set. 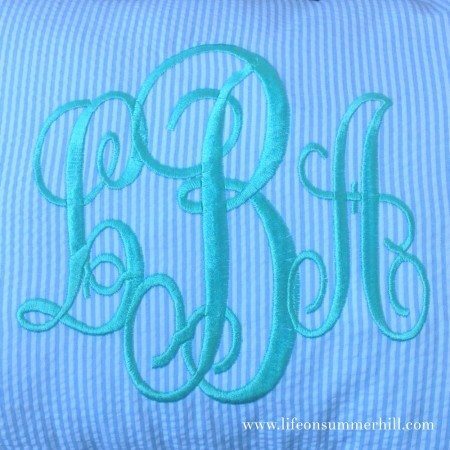 But the one thing I loved the most about this pillow is the buyers selection of mint green. Brilliant! But don’t let your creativity stop there. Tiny Tulip has other options to choose from, pink, hot pink and the list goes on. But for now I have fallen in love with this color combination. 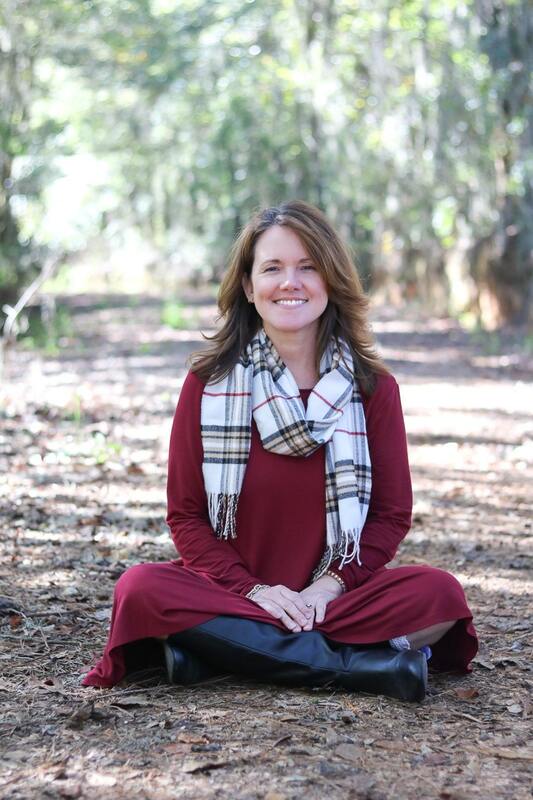 My name is Linda and I am the person behind Life on Summerhill. I am so glad you came to join us and hope you get loads and loads of home decor ideas to make your house a better home!